Widely known as the voice of the construction industry in northwest Illinois, the Northern Illinois Building Contractors Association represents 109 member contractors who have completed more than $1.5 billion worth of construction work over the past year alone. 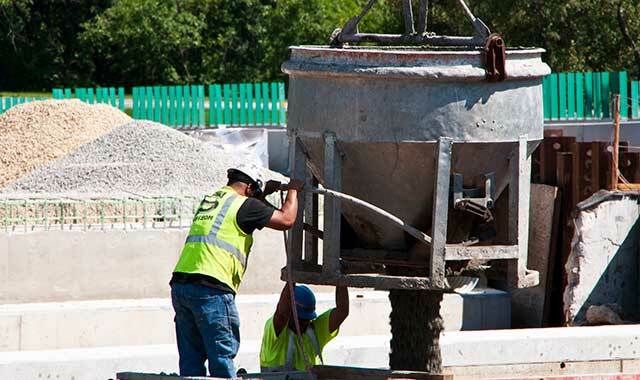 Learn how this organization advocates for local contractors. In late 1918, America brimmed with chaotic opportunity. World War I had just ended, leaving the U.S. undisputedly the world’s wealthiest nation. America produced more goods and services than the entire British empire. We possessed and could manufacture more steel and other building materials than anyone else… and we were ready to use them. The Roaring ’20s were off to an early start. Vestiges of America’s recent past lingered, too. A rough-and-tumble labor landscape saw both skilled and unskilled tradesmen unionizing to fight dangerous working conditions and to demand an eight-hour day. Women could not yet vote. Political corruption ran amuck. And everything was propped up by an immature and fragile financial system that would unravel 11 years later. As Americans went to Europe, they saw more than just the war. They saw the Industrial Revolution from a whole new angle: new technology, new methods, new industries and ideas, along with architecture that had not yet come to the U.S. on a grand scale. All of that expanded knowledge came home with the soldiers in 1918. And it would keep coming as millions of Europeans immigrated to America in the years after the war. Skilled craftsmen formed master guilds featuring an apprenticeship structure – a concept dating to medieval times but now scaled astronomically by industrialization. The Rockford area experienced all of this, accompanying the movement toward organized labor that had begun at the turn of the century. Laborers, bricklayers, carpenters, electricians plus a few more, all formed local unions between 1900 and 1918. Meanwhile, the post-war demand for construction materials and equipment was creating a shortage. That led to hoarding and price gouging by those who had them. Merchant associations had been springing up around the country, establishing quality standards, maintaining stable prices and working with local governments, and presenting a united approach when bargaining with increasingly powerful local unions. Rockford’s builders met periodically and in late 1918 formalized as the Associated Building Contractors of Rockford. The concept sounded more official than the initial reality. Between 1918 and the late 1930s, this loose association grew in its interactions with the area’s unions, working with them on issues like workplace safety education and occasionally pushing back against union demands. Did it succeed? That’s a matter of interpretation because no written records exist. 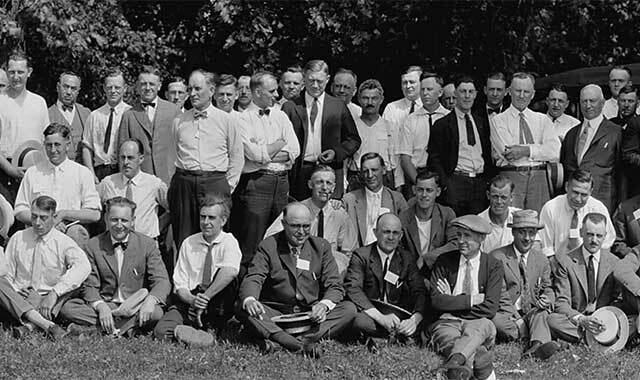 By the 1930s the association had expanded to a regional network of contractors covering most of northwest Illinois. Labor relations were the primary focus as the Roosevelt Administration and Congress enacted Social Security and scores of new labor laws focusing on workers’ rights. This was all occurring with the Great Depression as a backdrop, but some areas of the country were hit far harder than others. Rockford found itself somewhere in the middle. The area had enough sustainable industry to survive economically – and to find itself ready to help save the nation in the 1940s. World War II meant massive industrialization for Rockford: more manpower and womanpower for new and expanded industries, which needed new and expanded buildings. The contractors association grew and strengthened along with them. There was more to build, more to remodel, more to do. Member contractors got directly involved in the war effort. Some even had top-secret installations, working on factories at night behind blackened window shades. Where the association had dealt primarily with local unions, now it was forging labor agreements on behalf of its members directly with the U.S. Armed Forces. World War II’s end ushered in another period of economic boom for Rockford that would last the next 35 years. Much of the huge workforce that had migrated here stayed, and many more would come. They needed infrastructure: not only retooled factories, but also homes, schools, roads, churches and stores. These were prosperous years for local building contractors, and being organized was essential. In the early 1950s, the Associated Building Contractors of Rockford became an autonomous chapter of the Associated General Contractors of America. It was renamed the Northern Illinois Building Contractors Association (NIBCA), covering nine northwestern counties. NIBCA quickly ramped up, hiring staff; created safety, health and retirement programs for union employees; bargained contracts on behalf of its collective membership; and hired legislative consultants to deal with everything from state and federal labor laws to local zoning issues. NIBCA now was holding regular meetings (with minutes, thanks to a full-time secretary), issuing position papers and policy statements, even holding social events. A full-time director would be hired in the mid-1960s. The association’s purpose was a given – then and today. NIBCA responded by hiring a full-time safety director, whose safety van became a familiar sight. “He would go around to members and members’ subcontractors, and do job site visits, do training, just to make sure that the safety rules and regulations outlined by OSHA were kept, and the contractors were saved from major fines,” Turpoff says. “But at the same time, the workmen were safer. When you think about how people used to walk iron, stories up in the air… my god. In fact, NIBCA’s current executive director, David Anspaugh, started as safety director. He still does that, but on a limited basis. Two major economic downturns tested the area and, in turn, NIBCA. The Rust Belt recession of the early 1980s saw Rockford’s unemployment rate reach 25 percent, the highest in the nation. 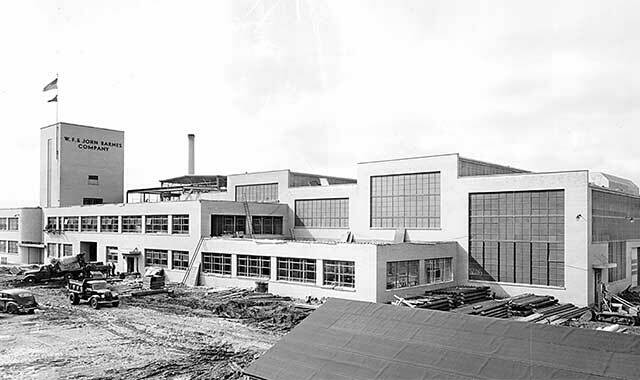 As factories closed and manufacturing declined, work dried up for building contractors, too. Rockford has never returned to pre-1980s production and employment levels. The recession of 2008 hit Rockford (and virtually everywhere else) hard, though contractors didn’t immediately feel it because the construction industry usually runs about a year behind the curve, doing work put in place the year before. NIBCA would downsize over the decade following 2008. When Turpoff retired as executive director in 2014, Anspaugh replaced him and took further steps in the direction his predecessor had begun to set for the association. Anspaugh and the NIBCA board reduced the association’s staff from four to two – himself and executive assistant Pat Lamb. Both today find themselves as Jack and Jill of all trades rather than specialists. She takes care of things like bookkeeping, membership meetings and events, and managing the website. His duties involve negotiations, grievances and facilitating safety training for members. One example of NIBCA’s streamlining is simply updating phone systems so someone doesn’t always have to be in the office. If both are off-site at meetings, calls route to Anspaugh’s cellphone. NIBCA has always provided research for members. Today that’s all been digitized and is quickly accessible, rather than having to send a staffer to hunt through the archives. Players big and small alike say they find benefit in working with NIBCA. 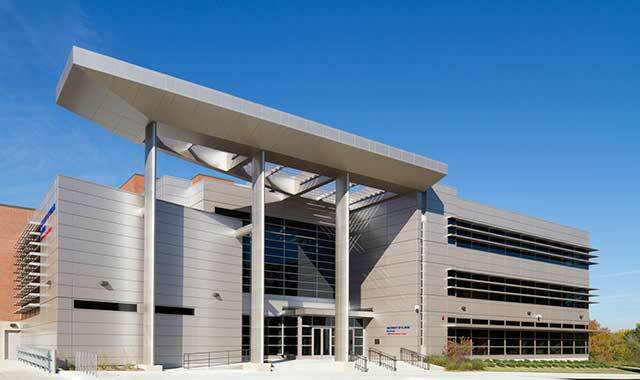 When larger firms like Scandroli Construction get contracts for projects like the UIC Health Sciences Campus-Rockford addition (above), smaller firms have easier access to subcontracting jobs. If NIBCA didn’t exist, that sort of order might not exist. Rob Kapala, president of Rockford Ornamental Iron, finds his NIBCA membership useful in obtaining information on jobs up for bid, updated information on closed bids and who won them. Beyond that, he says, there’s the community aspect of just being part of the local construction industry. “I like the fact that it’s local players,” Kapala says. “It’s not the National Building Association. That would be of little or no use. It’s a local organization and it makes you part of the community. NIBCA advocates for its members before federal and state governments, and also at an intensely local level through in groups that advocate and support referendums for better roads, schools and government buildings – projects that translate to more work for local contractors and added value to the community. Political and economic development leaders can then direct prospects to NIBCA’s website, where they can find member portfolios. That breeds confidence, Turpoff says. This entry was posted on Tuesday, October 23rd, 2018 at 12:00 pm	and is filed under Northwest Business Magazine, Top Posts. You can follow any responses to this entry through the RSS 2.0 feed. Both comments and pings are currently closed.